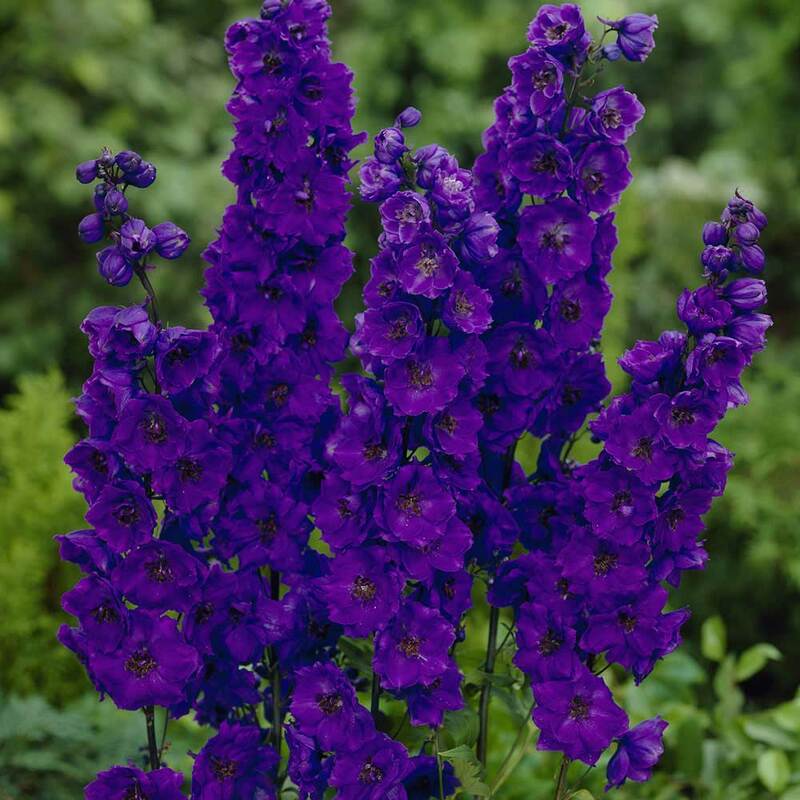 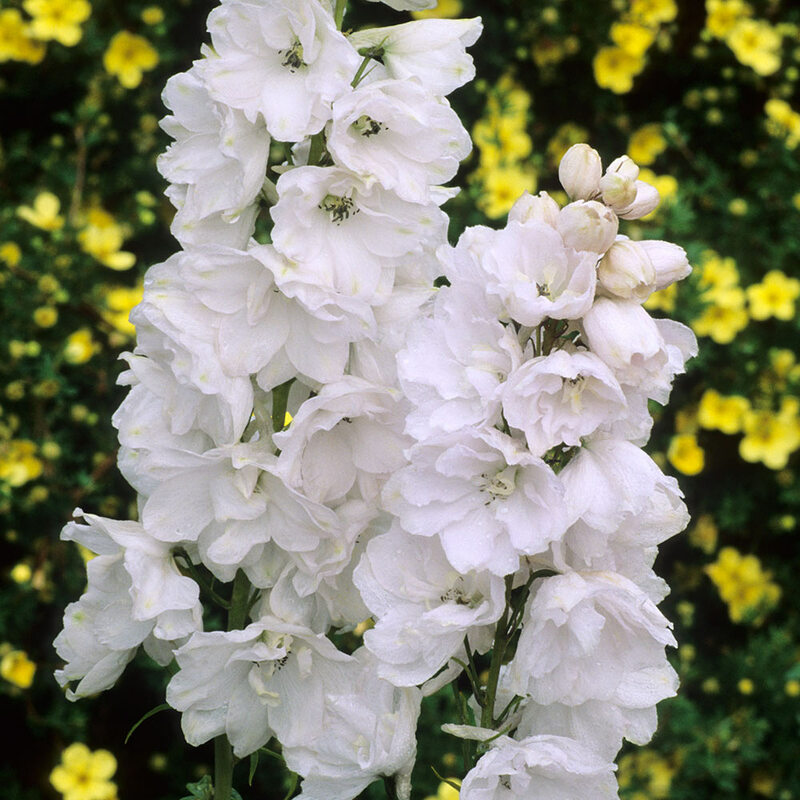 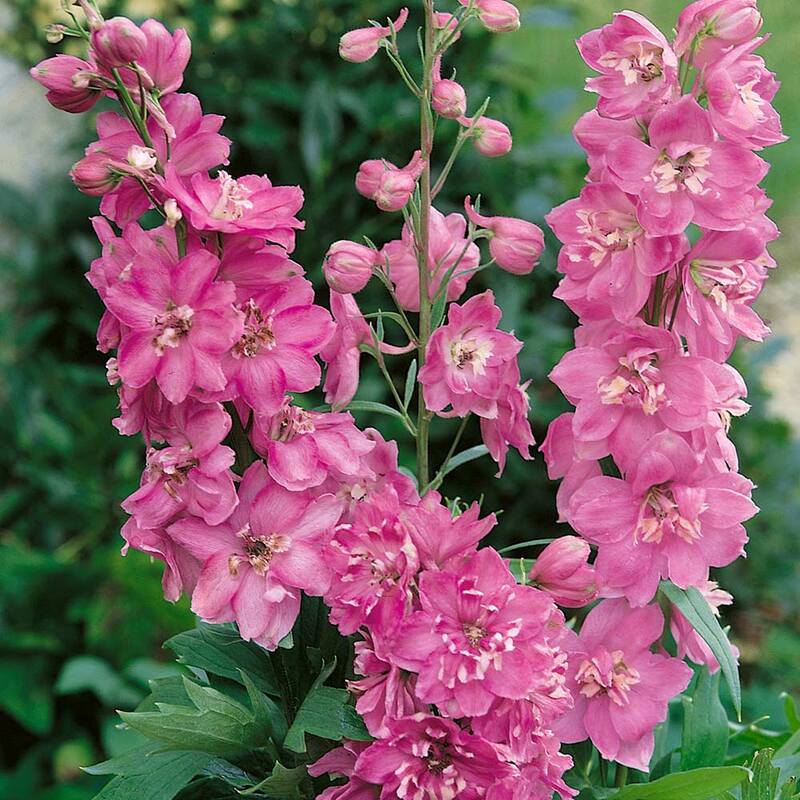 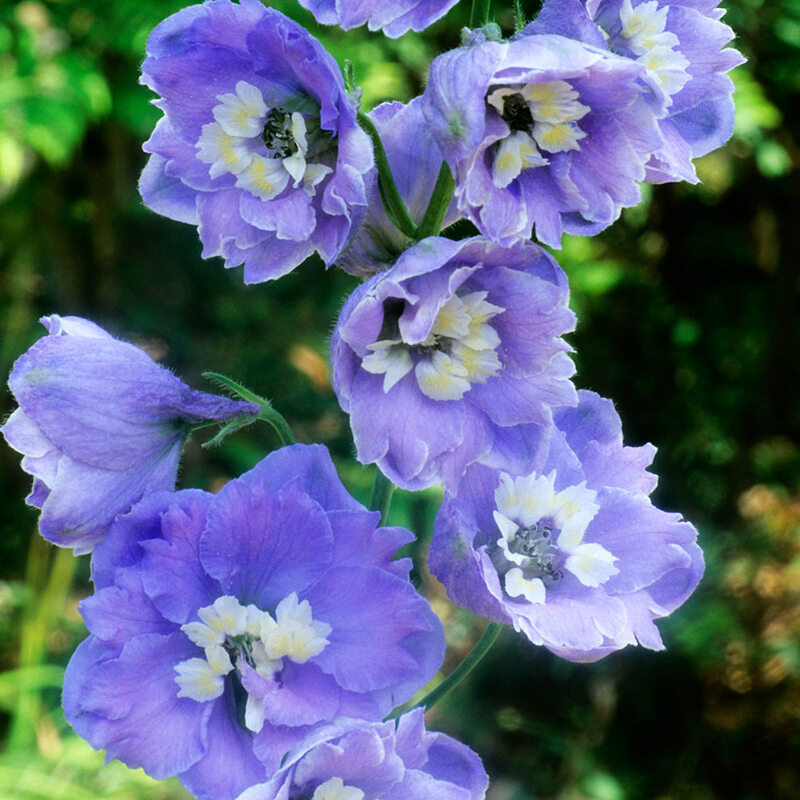 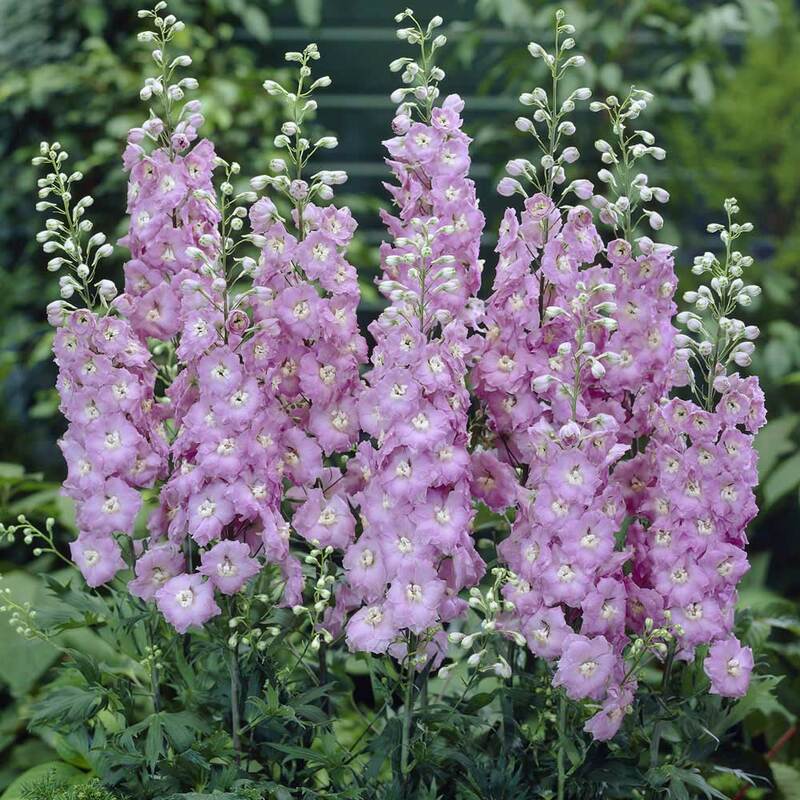 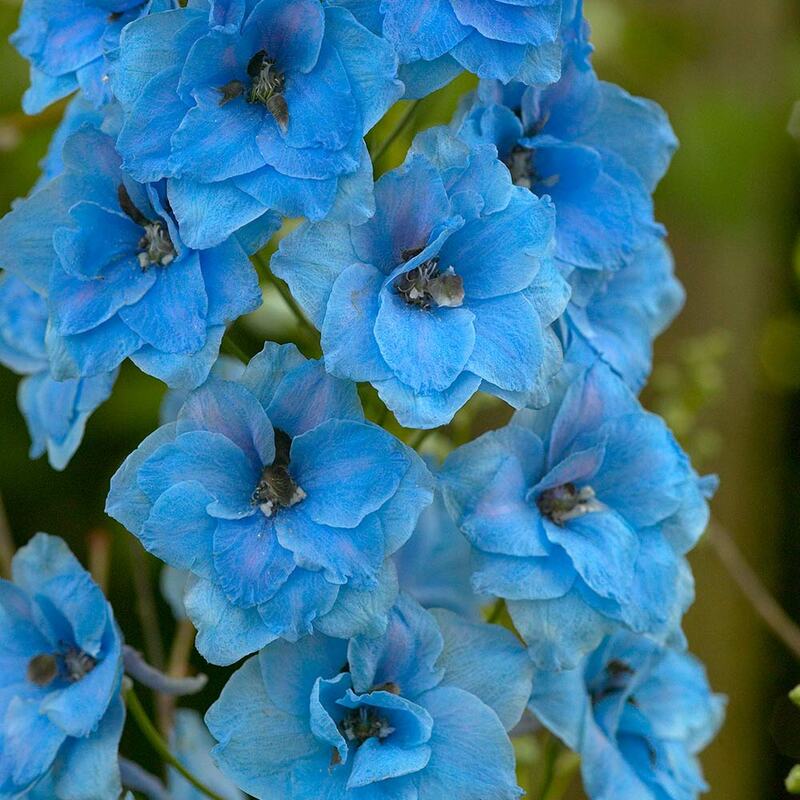 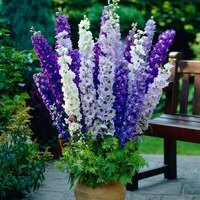 The Delphinium Pacific giant collection have fabulous tall spikes covered in beautiful flowers make this cottage garden perennial an essential to the border. 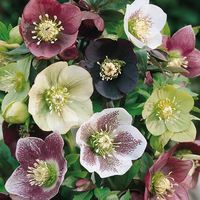 We've brought together a fabulous range of colours so you can recreate this lovely mixed display. Each collection of 6 contains one each of Galahad (White), Astolat (Pink), Black Knight (dark violet with black centres), Blue Jay (medium blue with dark centres), Guinevere (Pink lavender) and Summer Skies (light blue). 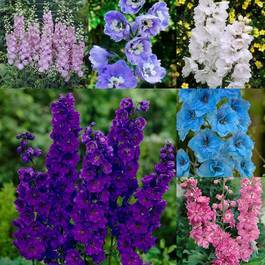 Heights 1.5m. 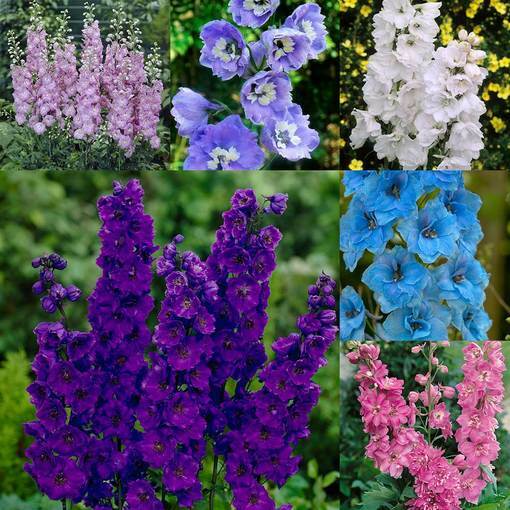 Flowers June to July. 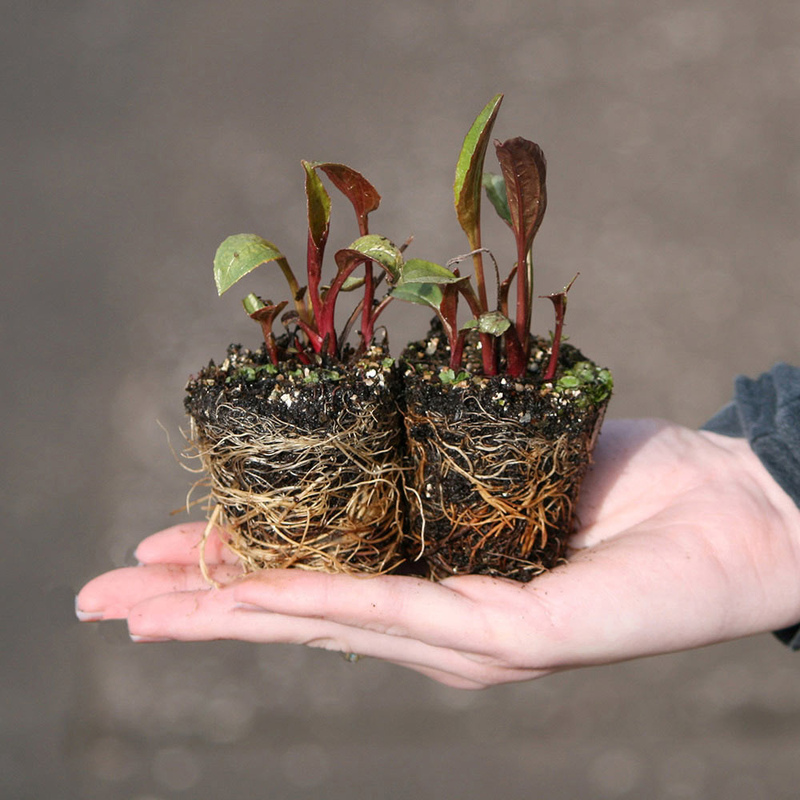 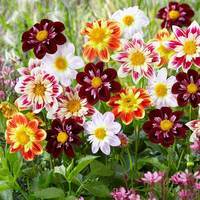 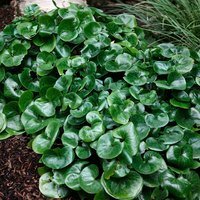 UK-grown 5cm module plants supplied.